As a child in the 1920's, our founder Joe Fisk collected food scraps to feed the pigs his father raised for the Fisk Meat Market located in downtown Greenfield. During the Great Depression, the Fisk Meat Market went out of business, but the people still wanted their scraps removed. Because of this, the Fisk trash removal service began and was officially recognized as a company in 1935. As time went on, other services such as plumbing, sewer and septic cleaning, and lawn and landscaping were added to the wide range of services provided by the Fisk family business. 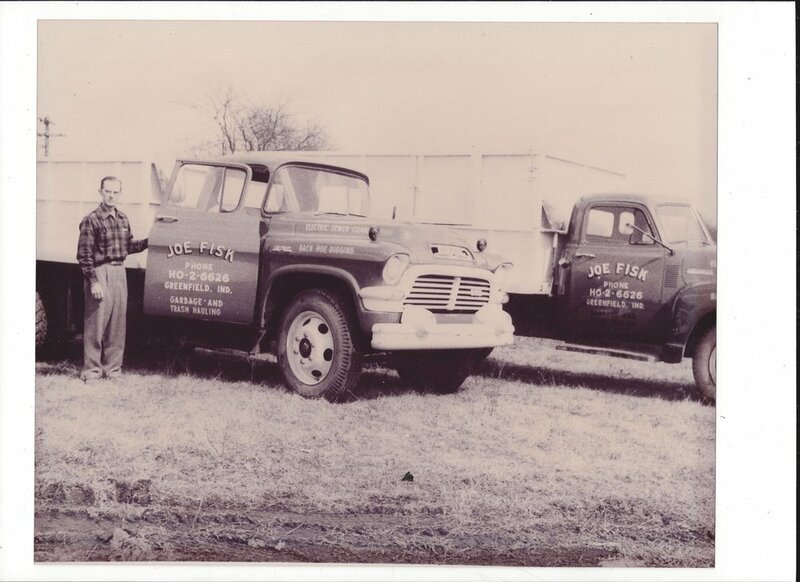 Today, four generations later, Fisk Services is a full-service trash removal company servicing residential, commercial, industrial and construction customers. In addition, we operate a full-service lawn and landscaping division providing residential and commercial chemical lawn applications along with mowing and landscaping services in the East Central Indiana area.